Well-designed garden decking can completely transform a property. 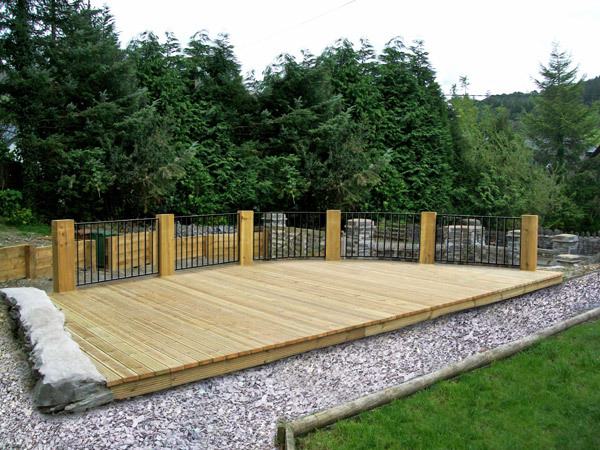 So if you're looking for a garden decking company you can rely on look no further! At Conifer Decking Services we offer complete, bespoke decking services from full garden design to decking installation. 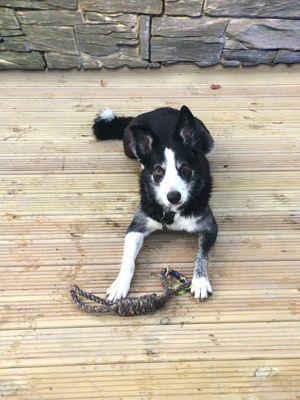 While our speciality has always been property renovation, damp proofing, basement conversion, etc., we now offer decking and garden design services simply because we enjoy doing it and it gets us out into the sunlight! One of the things we've always been particularly good at here at Conifer is making the best use of a space; in basements you have to! We've simply used that vision and imagination, along with the carpentry and building skills we've honed over many years, and taken it outside! Whether you are looking forward to those summer barbecues with friends and family, or are simply looking for an affordable way to make your property really saleable, timber decking could be the answer you're looking for. Along with timber fencing, timber walling (railway sleepers), steps and stairs, balustrading and stone walling, your garden could easily be the envy of the neighbourhood! We supply a full-service decking design and decking installation service across: Chester, Cheshire, Shrewsbury, Telford, Oswestry, Shropshire, Welshpool, Wrexham, Clwyd, Powys, Gwynedd, Aberystwyth, Ceredigion, Mid Wales, North Wales and surrounding areas. 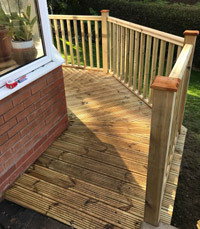 As part of our garden decking service we provide design to installation, and would be happy to discuss your decking project in detail with you. We're passionate about design and creativity, so if you're not sure how to make the best use of the space you have, why not let our decking fitters come up with some great ideas for your decking? 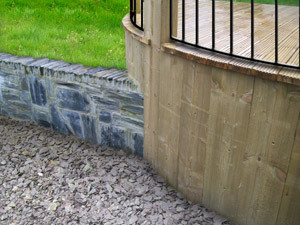 We are also installers of professional, bespoke caravan decking and chalet decking. Find out more here.